Add some bling to your event with this Dazzling Castle. Yes! This inflatable bounce house actually sparkles when the sun shines. 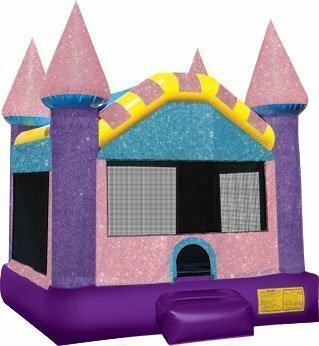 This inflatable is a 15×15 ft bounce house and holds 8 to 10 kids.